The QG18DE engine is the same as the 1.6-liter QG16DE, but it has the bigger bore (80.0 mm). As a result, its displacement is 1.8 liter. That gave more torque at low rpm. But these 1.8 and 1.6-liter engines are very similar. The QG18DE uses the same variable valve timing system (CVTC) on the same camshaft, timing chain, variable geometry intake manifold with valves, cylinder head, etc. There are no hydraulic tappets in the engine also (every 60,000 miles, please, visit service for valve gap/clearance adjustments). 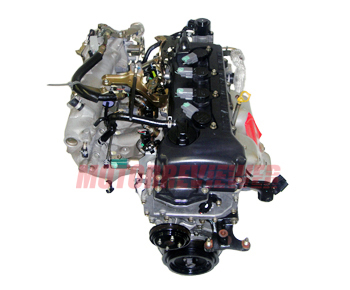 The engine is quite ordinary, nothing special, no high technologies and that is because it will run long mileage smoothly. 1. The engine consumes too much oil. That is the unique feature of that engine. Usually, consumption is up to 0.5 liters per 600 miles (1,000 km). If it is around 1 liter, you should contact with service or auto repair shop. 2. There is a problem with the idle valve gasket. Eventually, antifreeze starts leaking directly into the engine control unit. Replacement of the gasket fixes the issue. 3. The timing chain is unreliable. It is better to replace the timing chain at 100,000 mileage.